Dita Von Teese was at the Rosewood Mansion last week to launch her new cocktail with Cointreau: the MargaDita. You can make it yourself with the recipe below or order at The Mansion Bar at Rosewood Mansion at Turtle Creek for $15. 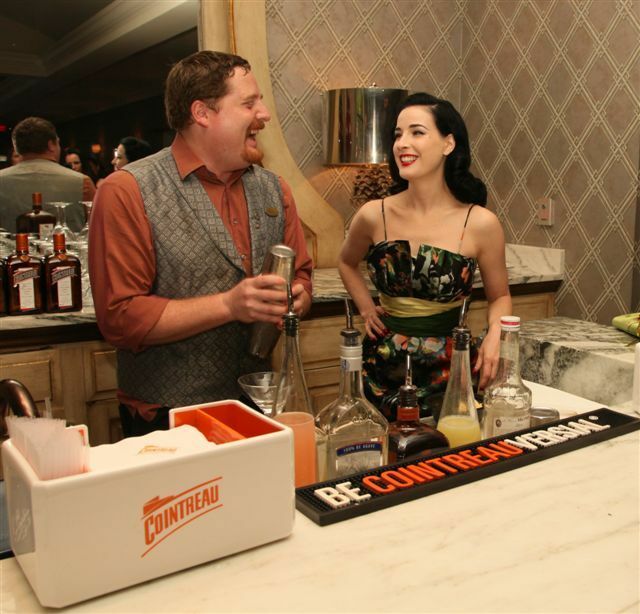 Dita says the MargaDita is a "tantalizing haute-cocktail with a spicy twist." After the launch, Dita headed to the House of Blues Dallas to perform her show "Burlesque: Strip Strip Hooray!"